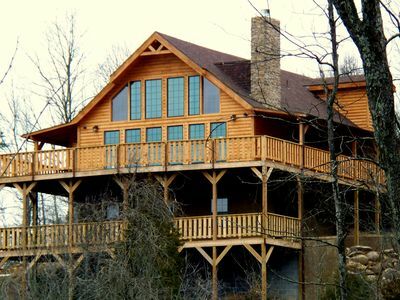 Amazing & Luxurious 7 BR Lake-Front Chalet near Great Smoky Mountains Sleeps 18! 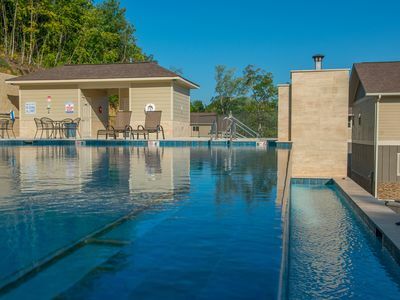 NOW OPEN AT SMOKY MOUNTAIN VILLAS - TENNESSEE"S FIRST EVER COMMERCIAL INFINITY POOL! 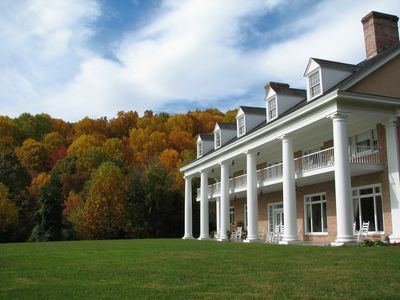 COME DIVE IN THIS SUMMER & FALL. 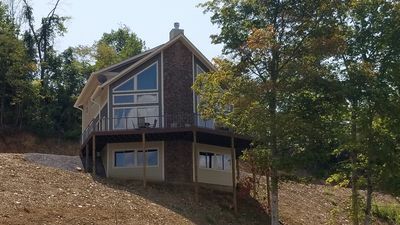 This Beautiful and Luxurious 7 - Bedroom Chalet sits on the banks of the Douglas Lake (just minutes away from the Great Smoky Mountains National Park). 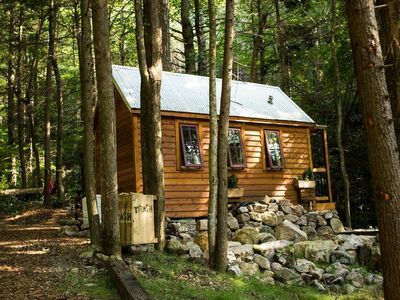 With breath-taking views around every corner, you will be in awe of the natural beauty that surrounds you as you enjoy luxurious accommodations. 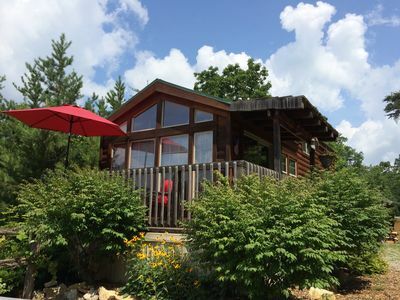 The chalet features elegant touches throughout and sleeps 18 people making it perfect for Vacations, Family Gatherings, Holidays, and even Corporate Retreats! 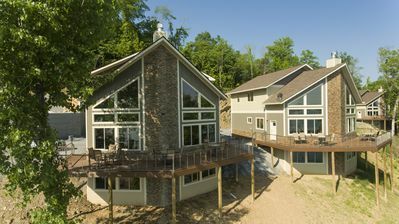 With Smoky Mountain Villas you are able to make this the perfect destination for the whole family to enjoy as you will have the best of both worlds featuring the nature and serenity of the Great Smoky Mountains minutes away, but also all Lake-Adventure you can imagine with Boating, Swimming, Skiing, Water-sports, and more. 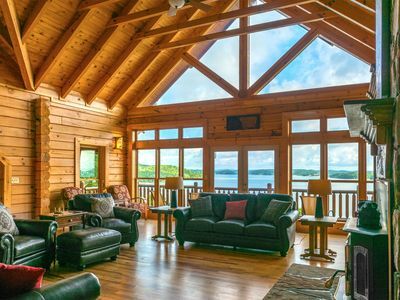 Outside of the chalet you will step out and be able to enjoy the fresh air and breath-taking views of Douglas Lake. 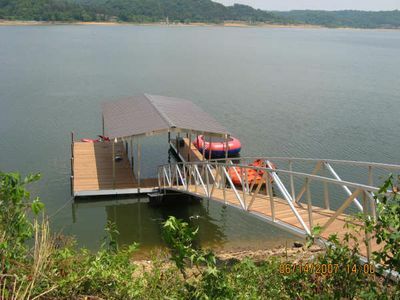 At Smoky Mountain Villas we have everything you could ever need for a lake adventure. 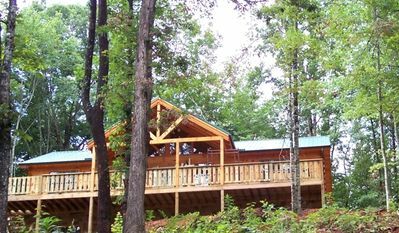 Right below this chalet is our dock that houses our boat (available for rent). 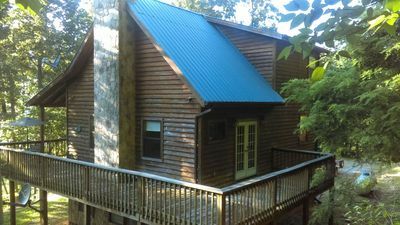 Paddle boards, kayak, and fishing gear are all available for free to Smoky Mountain Villas' guest as well. This area is also a great area for swimming! 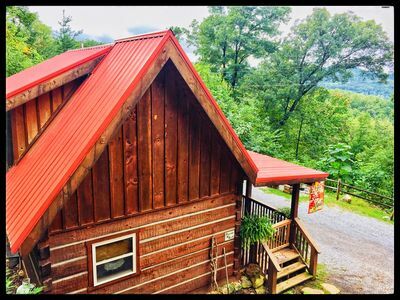 Our location is perfect for those who wish to visit the Great Smoky Mountains, Pigeon Forge, Gatlinburg, and Sevierville without being in the midst of the hustle and bustle. 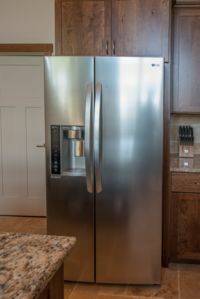 At Smoky Mountain Villas We have full time manager/maintenance personnel on duty during the normal business hours of 8am to 5pm M-F if guest need anything or have questions. 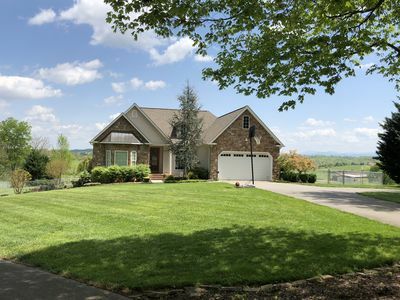 Let Smoky Mountain Villas be your home away from home! 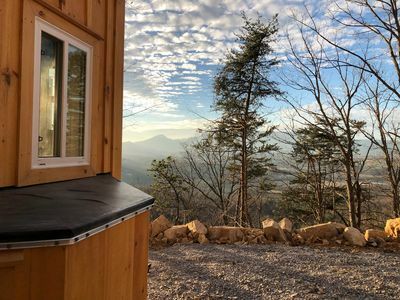 "Rustic Mountain Retreat" Private Spectacular Mountain Views. 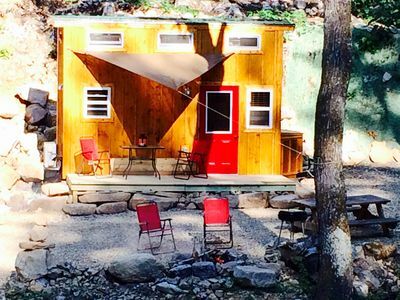 Tiny Fox:A rustic experience in a great location! 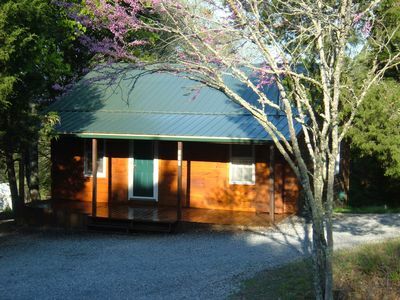 Shiner Shack Cabin. 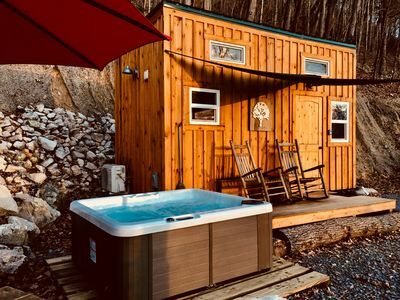 A Rustic Experience In A Great Location with private HotTub! 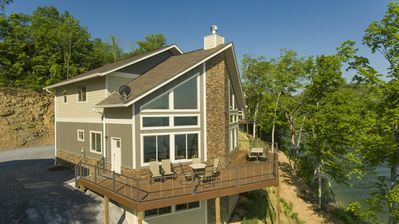 7 Bedroom Lake-Front Luxury Villa! 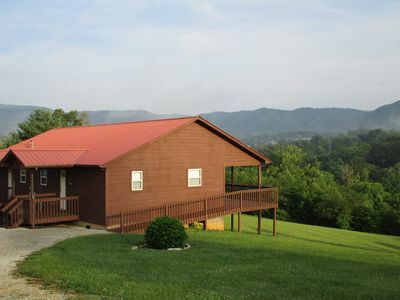 Sleeps Up To 18 People And Near The Smokies! 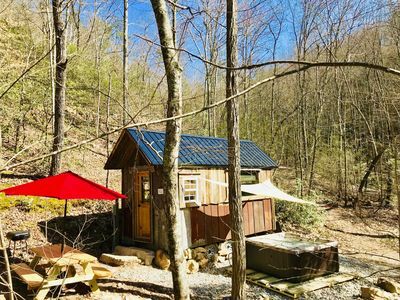 Mountain Farmer is a Rustic Experience In A Great Location with private HotTub!